"Achhi soorat ko sawarne ki kya zaroorat hai, saadgi me bhi qayamat ki ada hoti hai." The 13th of October is a special day. It's the day that the Shahenshah-e-Qawwali, Nusrat Fateh Ali Khan, was born on, way back in 1948. In fact, yesterday would have been his 67th birthday , a fact remembered fondly and wistfully by his global audience, who still mourn his sudden death in 1997. The Pakistani prodigy was considered by many to be the modern ambassador of the spirit and ideology of Qawwali music, a kind of music that celebrates love, devotion and a longing for the divine. It's hard to not notice a prodigious talent such as Nusrat's, and people remember his concerts as holistic experiences, inspiring fervent devotion and unlikely covers from the most improbable of singers, such as Jeff Buckley , who even recorded his version of 'Yeh jo Halka Halka Suroor Hai'. 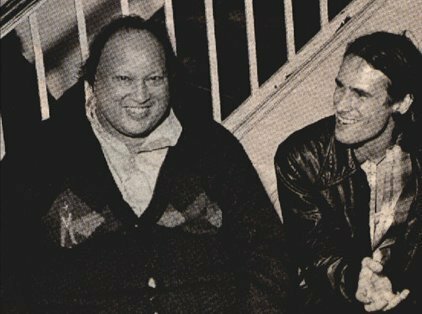 Jeff Buckley conducted an extensive and deeply personal interview of Nusrat in January 1996, eerily just a year before the Sufi singer's death. The Qawwali maestro was one of the first of the kind to inspire Buckley, who himself achieved massive fame with his version of 'Hallelujah'. He has spoken at length about his admiration for what Nusrat does, referred to him as his own version of Elvis, and he even wrote the liner notes for the singer’s ‘The Supreme Collection’. In Buckley's own words, Nusrat's music "saved his life." Prior to discovering him in 1990, he said he was in a dark place, mentally and emotionally. As is evident, Jeff, along with most of Nusrat's fans, were more than just people who liked his music, they developed a heartfelt relationship with the message of the music style, the ideas it propagated and the nature of the person singing. Nusrat was born in Faisalabad soon after Partition, and his father was initially hesitant about letting his son follow the family's 600 year old Qawwali profession, hoping instead that he would study to become a doctor or engineer, a profession he assumed had higher social standing. Nusrat's musical aptitude and prowess made him reconsider however, and he became the official leader of the family Qawwali party in 1971. Nusrat's vocal range, texture and intensity in the Qawwali style is the stuff of legend, and he was almost solely responsible for the Western audiences' first few trysts with Sufi music. He blended Eastern sounds with the progressive scene of Peter Gabriel on the soundtrack to The Last Temptation of Christ in 1988, and explored the world of the American grunge wave by collaborating with Pearl Jam's Eddie Vedder in 1995, inviting high praise and unparalleled acclaim. Effectively, he brought the Qawwali sound to the rest of the world, and people are eternally grateful. The strangely magical allure of Qawwali was compounded by Nusrat's own control over the style, something one could probably attribute to his family's 600-year old tradition of Sufi singing. Khan's musical legacy is now carried forward by his nephew, Rahat Fateh Ali Khan. 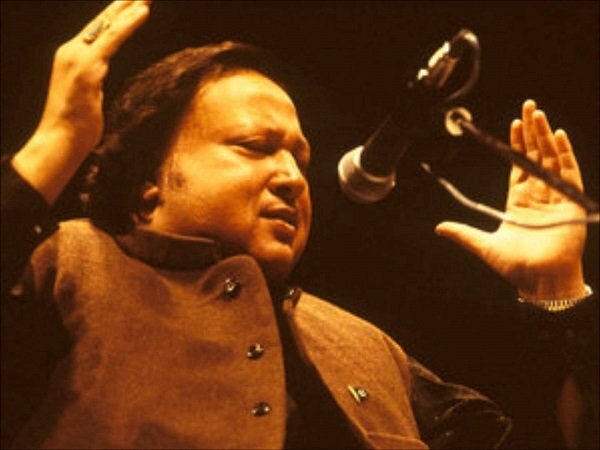 For a lot of people, a Nusrat Fateh Ali Khan concert was at once a form of spiritual release and emotional awakening, and he's sure to remain in the heart of our world for a really long time to come.